Kubwa Five Safaris welcome you to this 7 days safari, it combines wildlife viewing in Queen Elizabeth National Park and an unforgettable trekking with a chance to meet gorillas on the way. Queen Elizabeth National Park is a habitat for 95 species of mammals, a variety of flora and fauna, hippo, tree-climbing lions, elephants, giraffes, swamp antelope, zebras, Uganda-kobs, topis, waterbucks, bushbucks, reedbucks, duiker, mongoose and forest hog. Gorilla trekking in Bwindi Impenetrable National Park is an active expedition with moderate to strenuous hikes. Starting from: USD $4,475 (Budget Accommodation) | USD $4900 (Mid-range Accommodation) | USD $5800 (Luxury Accommodation) per person based on two travelers sharing. Situated 8km from Jinja town overlooking the new Lake Bujagali, Explorers River Camp is often referred to as one of Uganda’s, and even Africa’s most memorable places to stay. It rests on the banks of this magnificent River and offers magnificent views of the Nile and the rich fauna that it attracts. It offers services for both the business traveler and holidaymaker. Lion Tracking in Queen Elizabeth Park, this can be done on day 4. For visitors who yearn to get up close to wild African fauna, a research trip is a rewarding adventure. This new and unique experience allows visitors to actively participate in monitoring some of the lions in the park, using locator devices and learn habituation calls, as well as monitoring weather, surrounding, and behavior. The results are added to researchers’ databases, contributing valuable information to the overall understanding of wildlife ecology – and helping to conserve this wonderful ecosystem. This will as well give you a 95% chance to see the lions! Chimp tracking in Kyambura Gorge/ Queen Elizabeth Park, this can be done on day 4. Overnight in Kampala, this can be done on day 7. Travel to Jinja, city tour, this can be done on day 8. Whitewater rafting & discovering the River Nile, this can be done on day 9. Return to Kampala the Entebbe International Airport, this can be done on day 10. Take breakfast leave Jinja for Kampala buy some souvenirs to take home with you. If you have a flight on the same day your guide will transfer you to Entebbe International Airport for the departure flight home. Depending on your arrival time, leave Kampala at 07:00 a.m. You will be picked up from your hotel and you will drive west toward Bwindi Impenetrable National Park. The first stop is at the equator crossing. It is a wonderful spot to take pictures and have a cup of coffee. Proceed to Mbarara for lunch en-route to Bwindi, and have lunch at Acacia Hotel in Mbarara. It is a great opportunity to try out western Uganda’s Matooke (plantain-type bananas) and roasted goat meat if you are not vegetarian. After lunch, you will drive through the virgin rolling hills of Ankole -Kigezi to the home of the infamous mountain gorillas, Bwindi Impenetrable National Park, arriving at around 06:00 p.m. Overnight at Buhoma Lodge. After an early breakfast, head to the headquarters of Bwindi Impenetrable Forest National Park for an orientation plus meeting the guides as well as separation into the groups basing on which gorilla group you are to be tracking. From there, you will set off for your thrilling experience of the gorillas. Hiking within this mysterious and wonderful forest offers quite a lot to see as you make your way to see the mountain gorillas. Look out for additional primates, butterflies, mammals, and birds. The trekking will entail thorough climbing before you come face to face with the mountain gorillas, watching them only a few meters away. You will see the baby with the mothers, the gorillas partaking their everyday routine just right in front of you. Overnight at Buhoma Lodge. You will have an early breakfast and then travel to Queen Elizabeth National Park, entering it through the Ishasha sector renowned for the tree climbing lions. You will have a game drive along the way during which you will see lions, various antelope species, elephants, zebras, hyenas, leopards, and buffaloes. In the afternoon, you will go for a two-hour boat cruise down the Kazinga Channel that connects Lakes George and Edward. The cruise takes you through the highest population of hippos and you will see a profusion of animals on the water shores. This launch cruise rewards you with a great opportunity to take photos, watch birds, and see the water animals. Overnight at Simba Safari Camp |Engiri Game lodge. Day 4:Game Drive- Kasenyi Track viewing a large fishing area. After breakfast, you will go on an early morning game drive on the Kasenyi Track viewing a large fishing area. The game drive will take two to four hours. You will also tour Kikorongo, where you will encounter both wet and dry crater lakes. You will have another game drive in the afternoon to see lions, elephants, topis, leopards, bushbucks, cape buffaloes, Defassa waterbucks, giant forest hogs, Uganda kobs, among others. Overnight at Simba Safari Camp. Katwe explosion crater is located in Queen Elizabeth National Park. It is believed that this significant feature came into existence as a result of violent eruptions that took place approximately 8,000 to 10,000 years ago. You will take an extremely rewarding 27-kilometer crater drive to Katwe that will offer you a remarkable memory of your safari in Uganda. The communities have got rich traditions and their lifestyle is centered on the lakes’ natural offerings. You will learn the local processes of salt extraction and how they arrange their mining areas. The crater drive track offers impressive scenic views and the extending to the wider savanna plains of Queen Elizabeth. The views of the overlooking Rwenzori Mountains dubbed the mountains of the moon also add spice to remarkable memories for the safari. Overnight at Simba Safari Camp Engiri Game lodge. You will go for another game drive that will enable you to see wildlife in their natural setting, for example, buffaloes, elephants, and other animals that dwell in the grassland thickets of the Northern Kazinga. 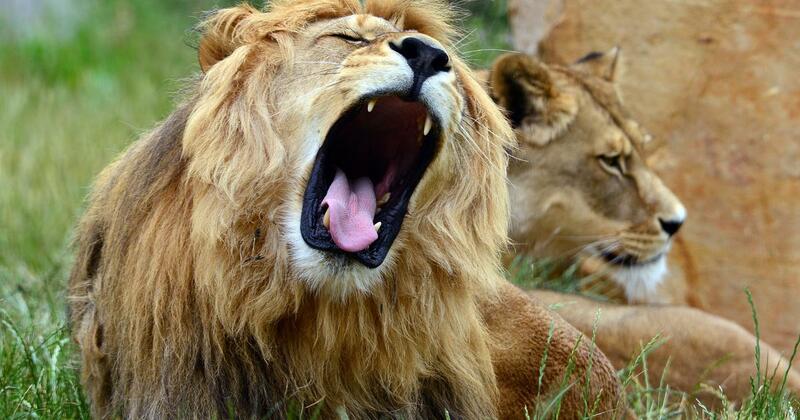 If you are lucky, you might have a rare chance to spot lions prey on other game. Queen Elizabeth National Park is a wonderful birding destination. You will do a round of birding to conclude the safari. A number of bird species will also be seen along including the rare shoebill. Overnight at Simba Safari Camp. After breakfast, you will drive back to Kampala with a stopover for lunch in Mbarara town and proceed to Kampala arriving late afternoon. Drop off at your hotel in Kampala or Entebbe in time for your flight.